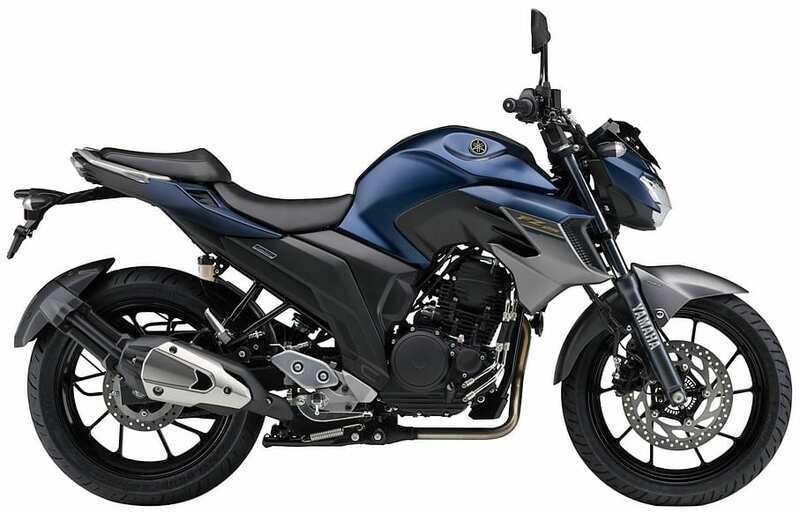 Reasons to Buy 2019 Yamaha FZ25: Yamaha recently launched the new FZ25 ABS in India with a price tag of INR 1,33,000 (ex-showroom). The motorcycle shares some of the components with the 149cc FZ series while most of the visual parts are new on the FZ25. It has been launched in Matt Black, Dark Matt Blue and Cyan Blue shades. Here are 7 reasons to buy the 2019 Yamaha FZ25 over any other bike in its segment. Yamaha motorcycles are known for their excellent built quality and FZ25 is no different in those terms. It uses premium parts like 41 mm front forks, wider tyres and first in class features like instantaneous fuel efficiency and LED headlight. Apart from that, the after-sales service and part availability have never been an issue with the company. The charm created by the first ever FZ could be repeated through the quarter-litre machine. The 249cc, fuel injected, oil cooled engine is good for 20 Nm of torque at just 6000 rpm. This makes it better for everyday riding as no other bike around the price tag of INR 1.33 lakh has such magic in its engine. Others like Apache RTR 200, Pulsar RS200 and KTM 200 Duke deliver their maximum torque at around 7000-8000 rpm while even then the torque output value is lower as compared to the FZ25. It’s not built for top speed as the core belief of the engine is crisp acceleration and powerful drive. The disc brakes on the new FZ25 support 2-channel ABS for additional safety of the rider. 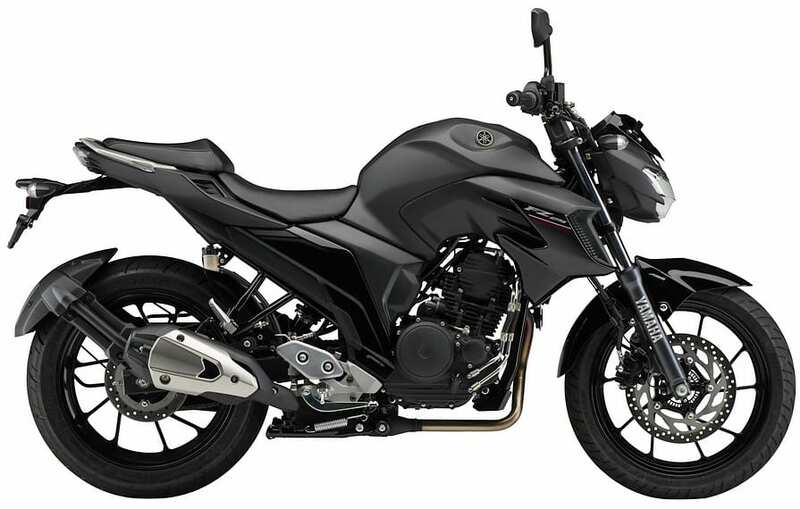 Most products around this price segment are available with single channel ABS and saving money on the FZ25 by removing the ABS sensor from the rear disc was never on the plans of Yamaha India. The front brake measures 282mm while the rear is 220mm. 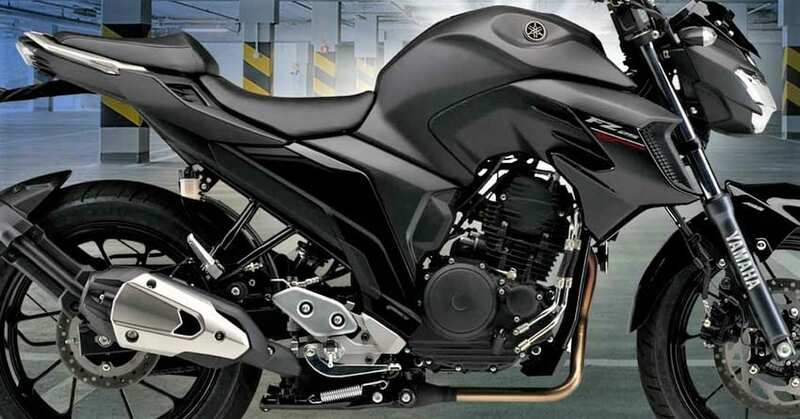 Yamaha FZ25 weighs just 152 kg and that too with a fuel tank that has 14 litres of capacity. This helps in delivering the excellent 43 kmpl of Yamaha claimed mileage. 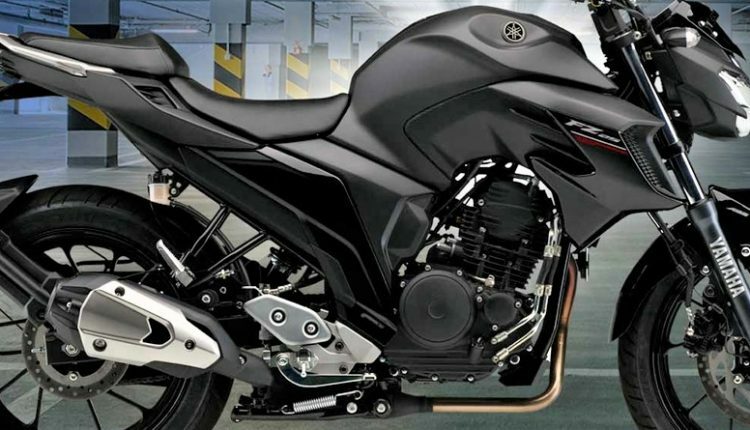 Other bikes that carry a quarter litre engine mostly weigh between 155-165 kg in the Indian market. The tank extensions are aerodynamic and the overall design facilitates a powerful presence. 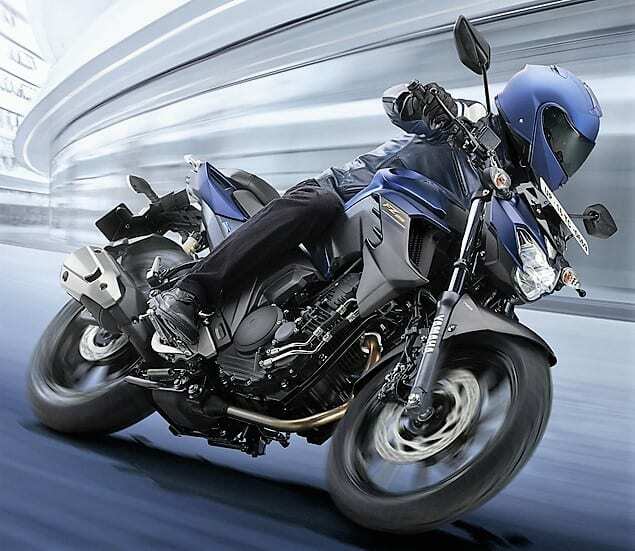 Yamaha’s Blue Core technology helps in keeping performance high and expenses low. 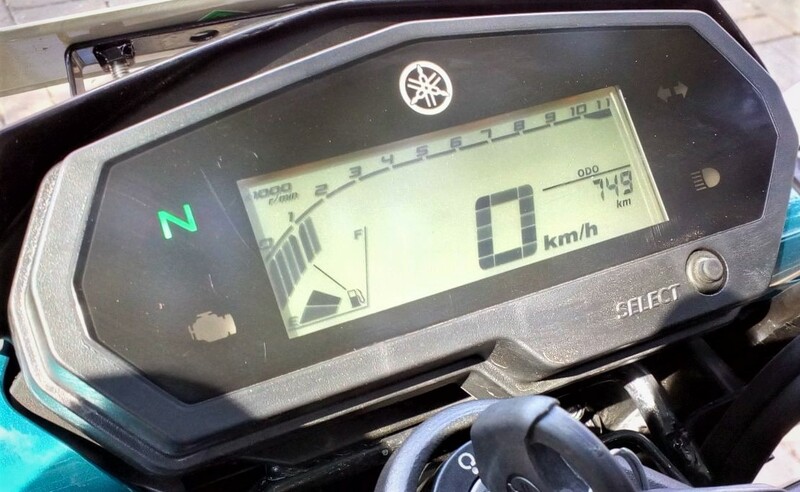 The instrument console on the motorcycle is crystal clear and offers a single screen that holds the tachometer, speedometer, odometer, two trip-meters and values like average as well as instantaneous fuel efficiency. The fuel gauge is even digital on the FZ25. The portion that is finished in Gloss Black holds the LED indicator lights for the other functions on the motorcycle. Undoubtedly, this section will have different views from different users. The fuel tank section of the motorcycle is massive and carries all-new extensions that are much sharper than former FZ models. Headlight and taillight design is highly inspired by the MT series. Shades have been perfectly distributed on the body parts as few elements are finished in Matt Black while others include body specific colours like Cyan, Matte Blue and Gloss Black. The all-LED headlight looks very futuristic, but on the downside, the illumination is poor in comparison to other bikes of this segment. When considering a price tag of INR 1,33,000 in India, it cannot be said that it falls in the easy to buy segment for average buyers. Still, no other manufacturer offers a 249cc, fuel injected engine in this price range and that too with LED lights and such premium finish. 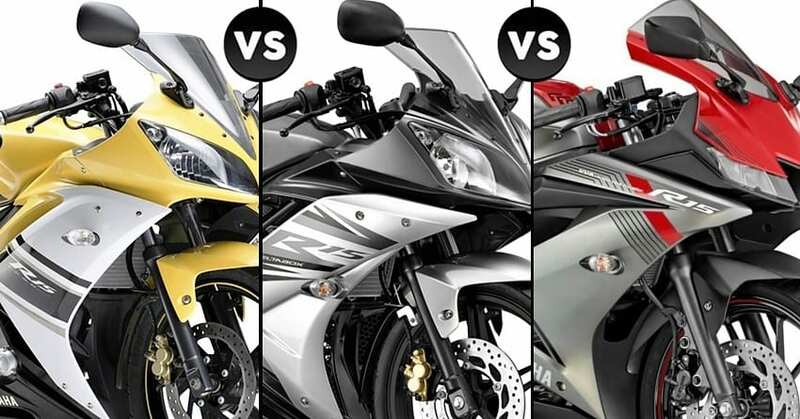 The nearest quarter-litre machine is Honda CBR250R (INR 1.64 lakh) while the closest in terms of competition is KTM 250 Duke (INR 1.81 lakh).